It's real. Live content enables businesses to take their audience with them wherever they are. Their fans have the impression of being right there and sharing the moment with the business. It's a new perspective. Live streams from conventions, conferences or production processes are a great way to promote your business and show what you do. Your audience can follow along the way and learn more about your services. Why should you add it to your content mix? You get more viewers. According to Facebook, customers already watch 100 million hours of video every single day, but the fact that some videos are live attracts the viewers even more. People spend over 300% more time watching a Facebook Live video during recording than watching the video saved afterwards. You reach more people. Compared to Periscope, which has about two million active daily users, Facebook’s potential with its 1.09 billion active daily users is tremendous. It’s definitely worth getting ready to add Live to your marketing concept. You can get creative AND save some ad budget. Start planning your Facebook Live content and take advantage of the amazingly creative possibilities that opened up for free. The maximum length of the Facebook Live stream is 90 minutes. Broadcasters have the opportunity to respond to the comments, questions and suggestions of their audience in real time. As soon as the broadcast ends, it will be saved as a video on your timeline. Curious? 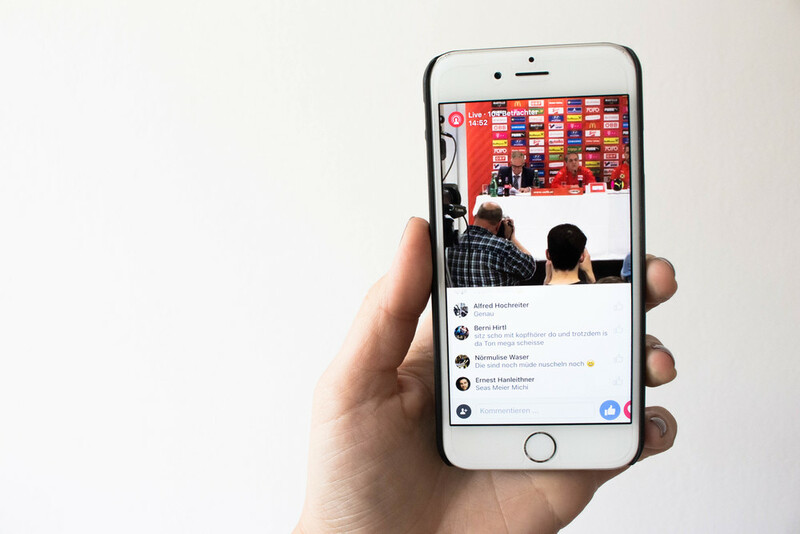 If you want to know more about how your business can benefit from the power of Facebook Live, don’t hesitate to contact us. We will help you develop innovative ideas and develop the perfect strategy for you. Older PostGo out. Get followed.